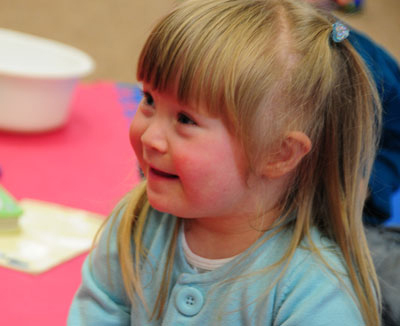 Educational research has identified relative strengths in early social development among children with Down syndrome. These can be advantageous for learning. However, they can also be used to avoid difficult tasks. A number of developmental researchers have identified that children with Down syndrome have a strength in early social development, particularly being interested in, relating to and interacting with people. This is a positive early strength as much important learning about the world and language learning is social - accomplished through interaction and play with adults and other children. 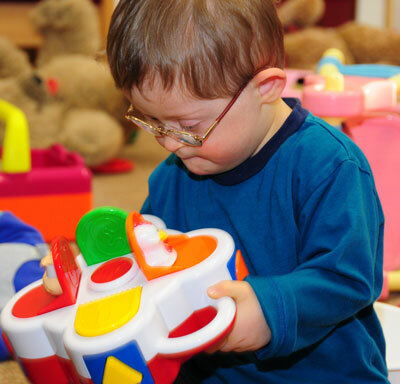 However, several researchers have noted that children with Down syndrome can also use their good social interactive skills to their disadvantage. 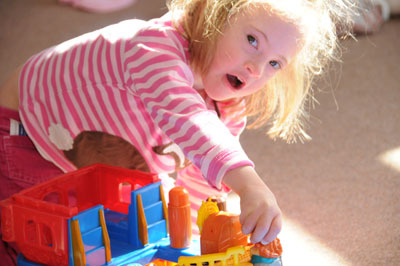 Jennifer Wishart first drew attention to the way in which children with Down syndrome may use social games to distract from a learning task (for example, by clapping or blowing raspberries) from young ages. Educational research is informing how parents and practitioners can build on the children's interest in social interaction from the earliest stages when babies make eye contact, enjoy face-to-face games and learn about communication and emotional cues - and how to continue to make full use of social learning in the preschool and school years. Understanding the children's social interactive strengths and the ways that they may use them to avoid requests or gain inappropriate attention is helping parents and teachers avoid or change challenging behaviors. Jones, E., Neil, N. & Feeley. (2014) Enhancing learning for children with Down syndrome. Chapter in R. Faragher and B. Clarke (Eds. ), Educating Learners with Down Syndrome. (pp 83-116) Routledge Education.